DIY foldable table for small apartments and workshops. It has unique way of folding. 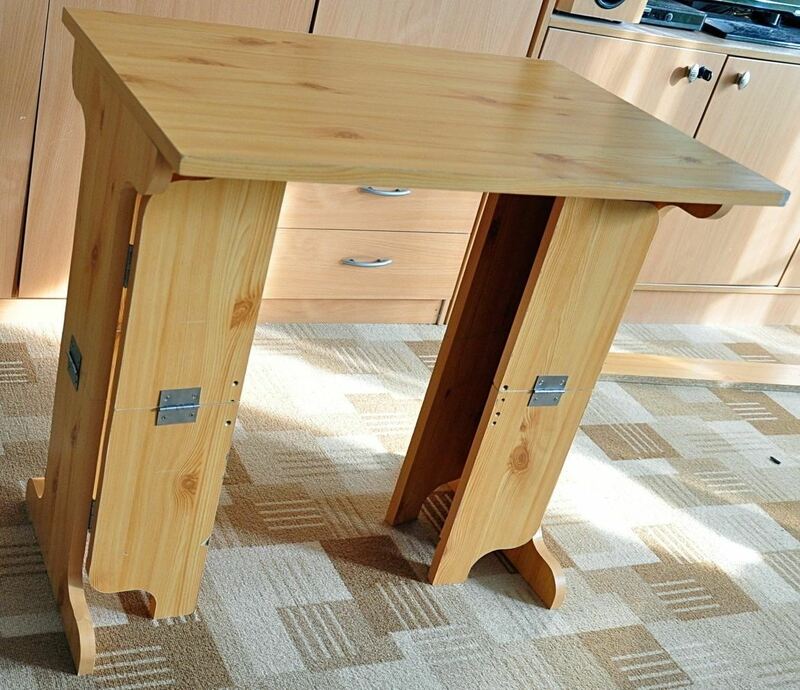 This one is made from old computer desk. It is an easy do-it-yourself project, even for woodworking beginners.